We appreciate your love and support. Can’t wait to share our gift of life with you. 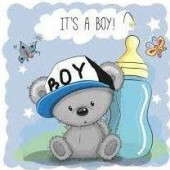 Elijah Anthony Bair is coming soon.